Back in May we mentioned Sparky’s revenge when Washington Business Journal first reported Cork would be moving. Cork Wine Bar opened up in the former Sparky’s cafe back in 2008. 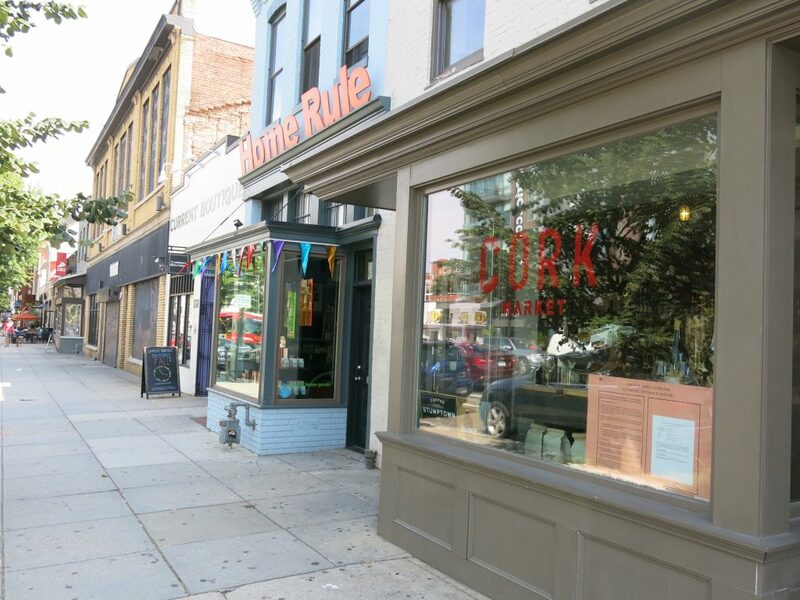 “As Cork Wine Bar approaches its tenth anniversary, owners Diane Gross and Khalid Pitts announce a fall 2017 relocation for their iconic Logan Circle spot that will see the wine bar move a block north on 14th Street, to join its sibling establishment, Cork Market & Tasting Room, at 1805 14th St NW. 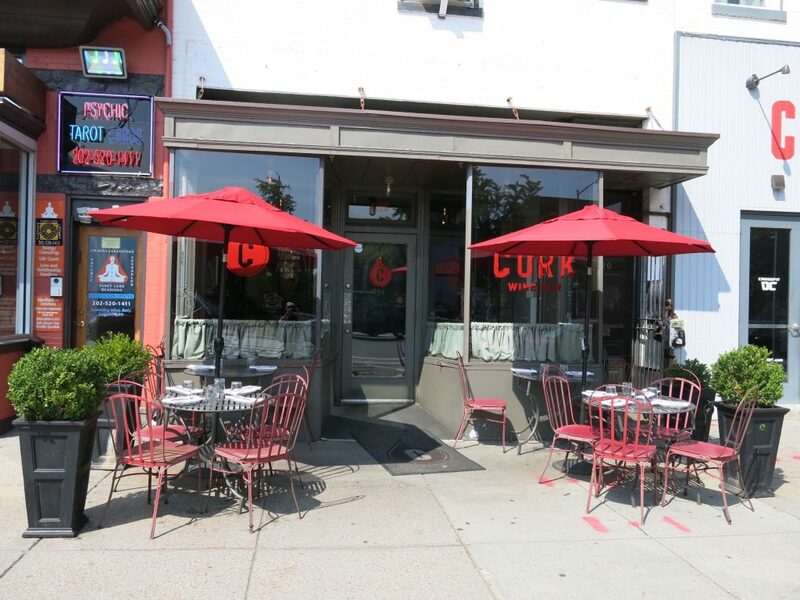 Opened in January 2008, Cork Wine Bar was a 14th Street trailblazer; as one of the first establishments, it laid the groundwork for the neighborhood’s culinary boom. As part of the relocation, Gross and Pitts are renovating the building, adding a patio, a market tasting bar & café with casual bistro seating, and a private dining room and event space. Sticking with the philosophy that has made Cork a true community institution, the renovation and relocation will be a locally sourced project, with the space and interiors designed by Eric Gronning of nearby Gronning Architects, with handmade tile from their neighbor Ann Sacks and a patio garden designed with Amanda McClements of Salt and Sundry and Little Leaf. Cork Wine Bar will remain very familiar to regular guests. The main dining room on the second floor will retain a warm and inviting feel along with the recognizable list of old world wines and avocado bruschetta. The seasonally changing menu of share plates created by Executive Chef Jason Schreuder will remain intact in its new 60-seat location, but will also be available on the 30-seat patio. Also new is a 30-seat private dining room that can be used as an extension of the main dining room or closed off for private events. Those special events include wine classes, dinners with visiting wine makers and educational tastings for leading wine professionals and the general public. The wine offerings will also remain largely untouched, both upstairs and down. Gross and Pitts have curated selections that focus heavily on old world wines with the goal of demystifying these European classics by offering an affordable list and unpretentious environment. Cork Market & Tasting Room will see some of the more dramatic changes in the renovation. New to the ground-floor space will be an expansion, adding a 30-seat casual eatery and 15-seat tasting bar adjoining the market. Open for brunch, lunch and dinner, the space will feature a menu by Market Chef Ian Morrison of snacks to share, cheese, charcuterie, salads, sandwiches and, of course, fried chicken, a Cork Market favorite dating back to its 2009 opening. New additions to the program include a weekly grilled cheese night and a menu with kid friendly classics like mac and cheese and house-made pesto pasta. While it will continue to feature a large selection of prepared foods to-go, the retail side of the market will include a sharpening focus on old world wine, and expansion of the cheese and charcuterie sections. But perhaps the biggest addition will be wine made on-site from Virginia-grown grapes. Starting in 2018, one vintage of a house rosé will be made at Cork every year. The rosé will be available only on draft in the market and restaurant and only while supplies last. First-time wine makers, Gross and Pitts are enlisting the help of local experts to help realize a wine that is fun, bright and easy to drink.